Structured by the city of publisher. Titles are hyperlinked to their online editions. Alfred H. Barr Jr. (ed. 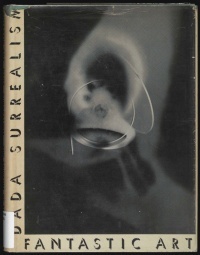 ), Fantastic Art, Dada, Surrealism, 1936, Log, PDF; 2nd ed., 1937, PDF. 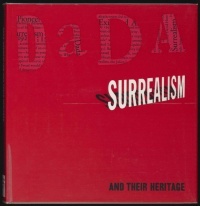 William S. Rubin, Dada, Surrealism, and Their Heritage, 1968, PDF. C. Brian Morris, Surrealism and Spain 1920-1936, Cambridge University Press, 1972, x+291 pp. Ülo Pikkov, "Surrealist Sources of Eastern European Animation Film", Baldic Screen Media Review 1 (2013), pp 28-43. We are Completely Free. Women Artists and Surrealism, exhibition, Museo Picasso Málaga, Oct 2017-Jan 2018. This page was last modified on 1 March 2019, at 12:01. This page has been accessed 22,373 times.